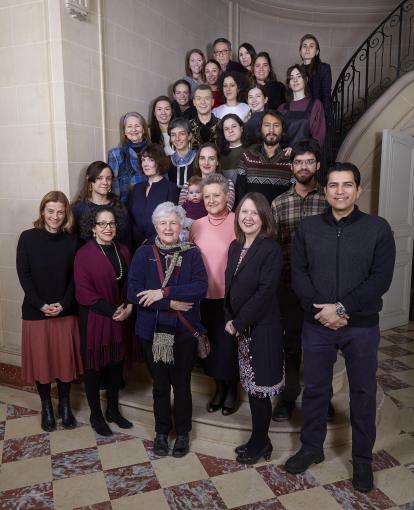 The Department of Hispanic Studies at Brown University takes a distinctly Trans- Atlantic, interdisciplinary approach to the literatures and cultures of Spain and Latin America. We have a dynamic, internationally recognized faculty whose teaching and research cover a full range of time periods and geographies. Ours is a diverse but well-integrated community whose common purpose is to emphasize and critically explore the cultural crossings that constitute the Hispanic world, past and present. From our base in the beautiful Rochambeau House, professors and students maintain strong ties with several other departments, programs, and centers on the Brown campus (e.g., Comparative Literature, History of Art and Architecture, Medieval Studies, Portuguese and Brazilian Studies, the Center for Latin American and Caribbean Studies, the Pembroke Center, and the John Carter Brown Library), as well as abroad. Our undergraduate program offers basic through advanced language classes and a wide selection of literature and culture courses, many of them cross-listed. Our graduate program balances generalist training with individually tailored specialization and keeps a firm commitment to professional development and mentoring. All students, both undergraduate and graduate, work closely with faculty members, and peer collaboration is encouraged to further intellectual, creative, and academic growth.